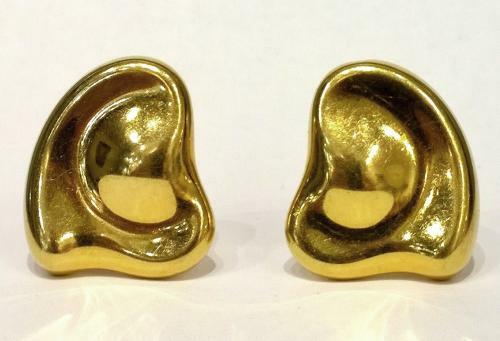 A striking pair of 18ct gold large 'full heart' earrings designed by Elsa Peretti, for Tiffany & Co. Signed Elsa Peretti , Tiffany & Co, Spain. Excellent condition, some slight surface wear but can be polished as new if desired.